"Upendra Kushwaha has quit the NDA, the TDP has already left and the Shiv Sena is also not with them. Now the BJP is under pressure and therefore they gave 17 seats in Bihar to the JD(U) which has only two MPs. What can be a fine example of insecurity than this," Pilot said. 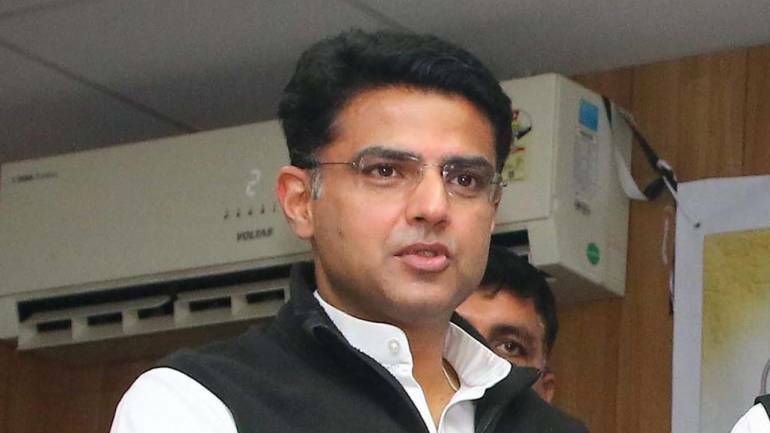 Exuding confidence that the Congress will form the government at the Centre in 2019, Rajasthan Deputy Chief Minister Sachin Pilot claimed that the BJP is under pressure as its allies are deserting the coalition. He said the BJP leaders used to point fingers towards the Congress by saying that the party was struggling for its survival but results of the recently held assembly polls in Rajasthan, Madhya Pradesh and Chhattisgarh have sent out a strong message. "This full majority government at the Centre has become so weak that it has given nearly half of Bihar (Lok Sabha seats) to a party having just two MPs just because of the fear that people are not voting for the BJP and also its allies are daring them. This happens when the government is weak," he told PTI here. Pilot said the BJP should accept the fact that it has faced a severe blow in three states and should take responsibility of the defeat. "(BJP's) Nitin Gadkari has already spoken that the party leadership should take the responsibility for the defeat. When the Congress had suffered defeat, the party president Rahul Gandhi had humbly accepted that but the BJP leadership is so arrogant that despite facing defeat in three states, it is unwilling to take the responsibility," he said. Pilot said there was a swing of 12.5 per cent votes in Rajasthan and the Congress gained 99 seats in 2018 from 21 assembly seats in 2013. "We won 21 (assembly) seats in 2013 and the number of seats has increased five times in 2018. Swing of votes is 12.5 per cent. BJP's vote share has decreased by 6.6 per cent and ours increased by six per cent. It's a rare swing," he said. Pilot, who is also the party's Rajasthan unit chief, said the victory of the Congress has boosted the morale of party workers and they have started preparing for the 2019 Lok Sabha polls. "We have formed the government and along with delivering on our promises, we are focusing on the upcoming elections. Meetings in the party have already started. The party will register a thumping victory in the Lok Sabha polls and the Congress will form the government at the Centre," he said. Rajasthan has 25 Lok Sabha seats and at present, 22 are with the BJP, one with the Congress and two are vacant. The BJP had won all the 25 seats in the 2014 general elections but it lost two seats to the Congress in bypolls held earlier this year. Two sitting MPs -- Raghu Sharma (Congress) and Harish Meena (BJP) -- won the recently held assembly polls and they have resigned as the MP thus making their seats vacant. BJP's Harish Meena, who was director general of the Rajasthan Police, had defected to the Congress before the assembly polls and contested on Congress ticket from Deoli-Uniara assembly constituency and got elected.